Additional Info: On-suite toilet with wash hand basin. Family toilet and wash hand basin separate to family shower room. 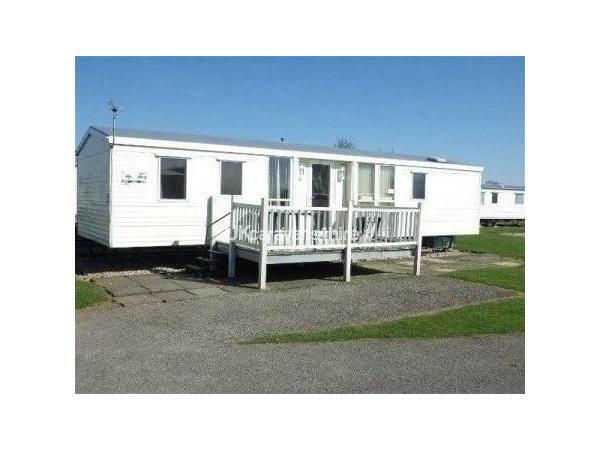 Our Villa Roma caravan is on Sandhill ideal for children and pets. It is fully heated and double glazed also has an extra heater in the dining area and a wall mounted remote control electric fire in the lounge. 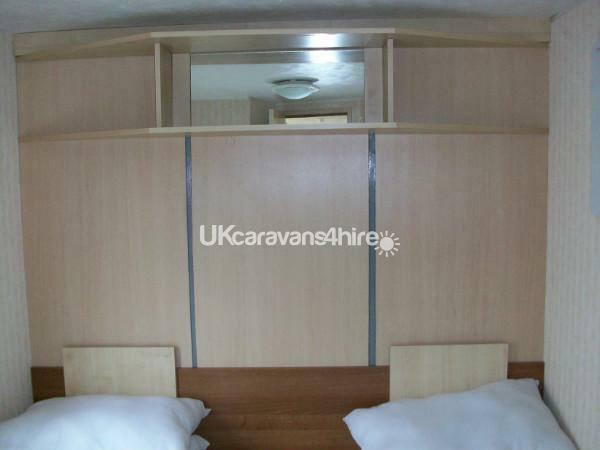 It has been refurbished and is Looked after by ourselves personally. 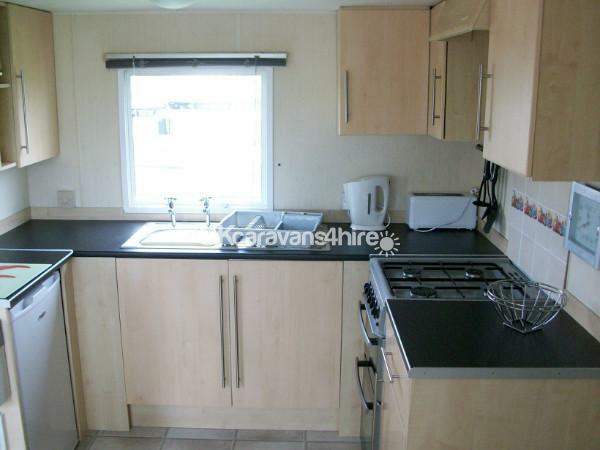 The kitchen has ample cupboard space is fully equipped with all essential items Cooker, Fridge Freezer, Microwave, Slow Cooker, Toaster etc. You will also find an Iron and Ironing board for you convenience. 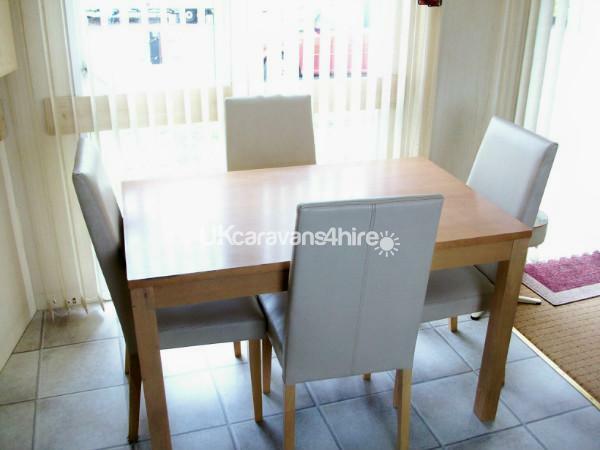 The Dining Area has a table and chairs with a wall mounted heater on a timer if required. 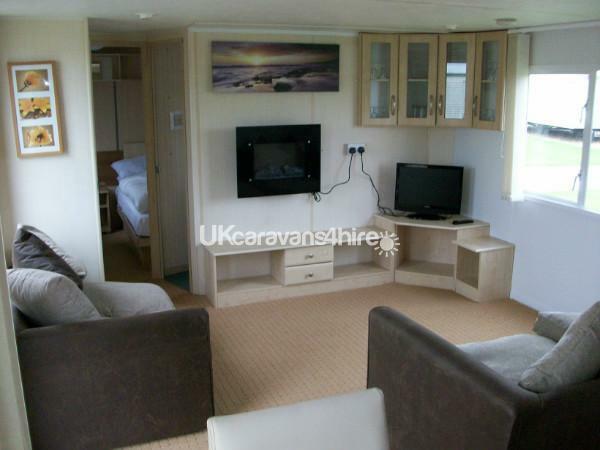 The Lounge Area has two sofas one with a double pull out bed, modern built in cupboards, wall mounted remote control electric fire and a flat screen television with built in DVD. The Main Bedroom has been newly fitted with wardrobes, bedside cabinets, dressing table and headboard with two overhead lights. 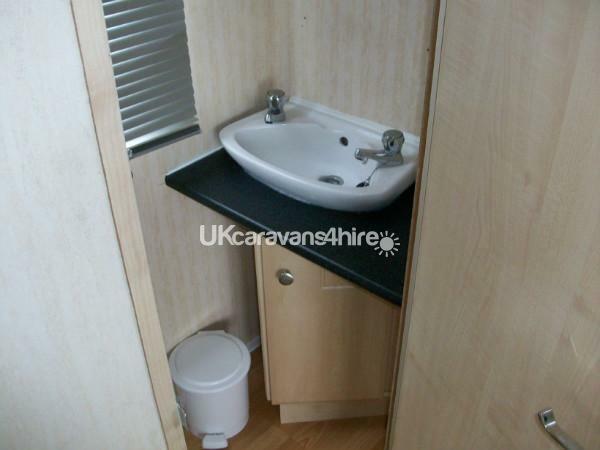 There is also a television with DVD player, on-suite toilet and wash hand basin. 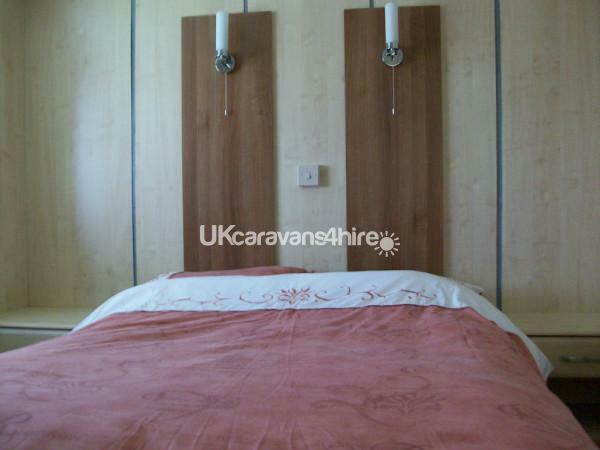 The Second Bedroom has two single beds with bedside table, a combination wardrobe, overhead cupboards and shelf with built in lights and a dressing table. 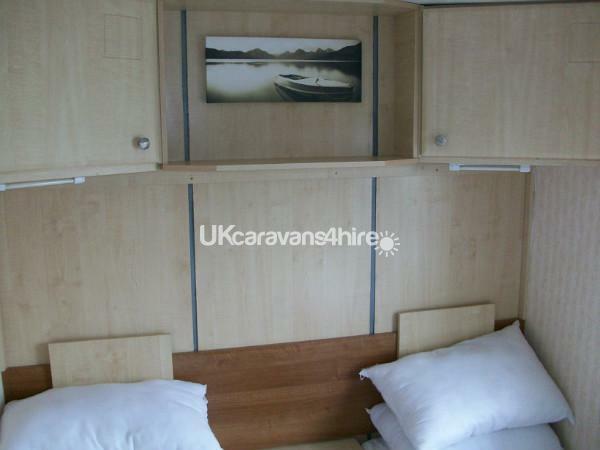 The Third Bedroom has two single beds, bedside cabinet, wardrobe and overhead shelving. 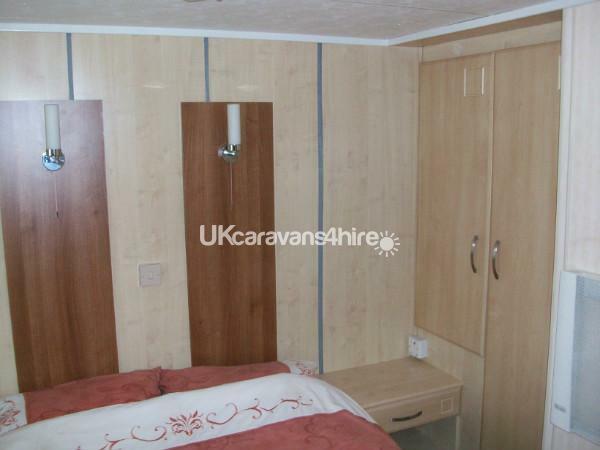 There is a separate family toilet with wash hand basin and a separate shower room with heated towel rail. Outside there is a small decking and also a patio area, hard-standing for your car and garden furniture. Extra hard-standing for extra cars is available if required. Linen hire is available from ourselves at £5 per bed.we also have travel cots and bedsides for hire at £5 per week please check availability when booking. Our prices include gas, electricity and four Butlins passes further passes can be purchased if required. There is a free land train that takes you to the under pass where you can access the main Butlins complex. Butlins Skyline Holiday Village is within walking distance of Fantasy Island, the Market and Ingoldmells. Chapel St Leonards and Skegness are just a short drive away, or easily accessible by bus.